"Portrait of a Football Player." This is my latest commissioned piece. 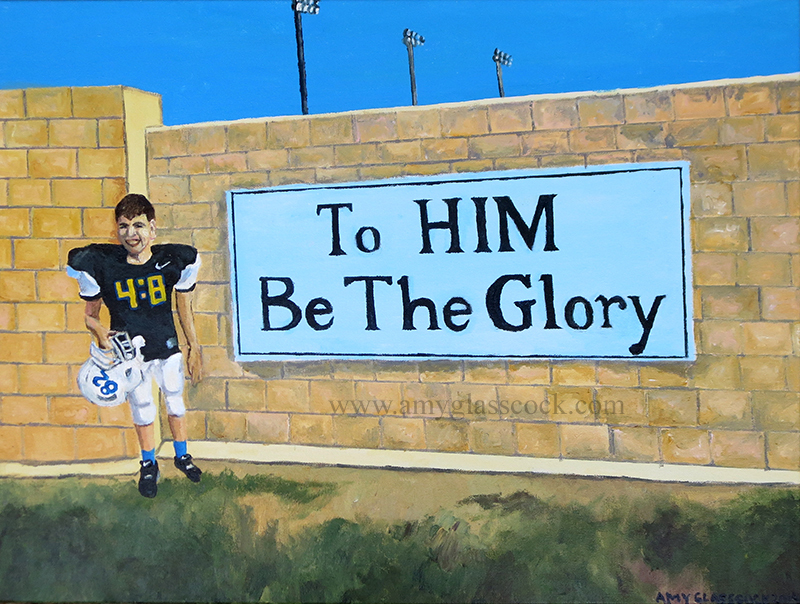 Though I don't know the full story behind the image, the person who commissioned it said that he would like to say that it is for his "favorite football player who inspires him to live by his favorite [Bible] verse." 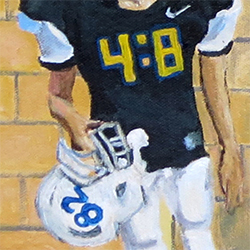 Instead of the player's number 82, he asked that I replace it with 4:8 which hints to which verse he is thinking of. Though I don't fully know the impact that this painting will have on its recipient, I feel very blessed that God has used me to be a part of his work in this special way. God is cool like that!